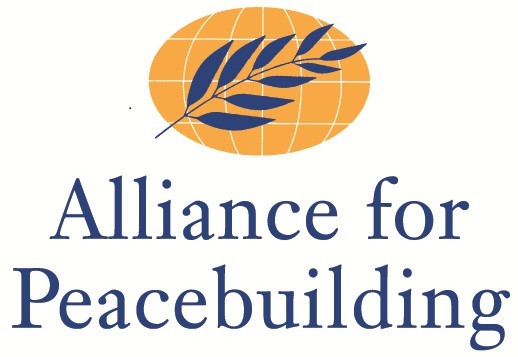 What is the Alliance for Peacebuilding? AfP is a network of over 15,000 individuals and organisations that collectively seek to achieve sustainable peace in 153 countries worldwide. Members include large-scale development organisations, innovative academic institutions and span from a range of sectors including business, media, education, environment, and the arts. Through their broad array of members, AfP aims to bridge theory and practice, to link policymakers with citizens, to work across disciplinary divides, and to develop innovative solutions to the challenges of today’s turbulent conflict landscape. According to AfP, peace is an issue too large for any one individual or organisation to accomplish; peace requires a like-minded collective. AfP prides itself on a three-pronged mission: innovation, impact and influence. It seeks to achieve this mission by way of programming focused on evaluation, policy and advocacy, the Sustainable Development Goals (SDGs), and strategic communications. In addition, AfP carries out an annual conference as well as convening regular affinity groups to encourage discussion and action on matters pertinent to peace building. What was the purpose of this conference? AfP’s annual conference is the largest US gathering of decision makers, academics, practitioners, and funders dedicated to peace. Not only does it welcome members from within its own network, the conference is open to other individuals and organisations connected to the peace-building field. The conference acts as a unique platform for attendees to exchange ideas, reflect on domestic and international crises, discuss the most prevalent issues in the peace-building field, and develop collaborative projects. This year’s conference was focused on innovation. The conference sought to highlight the newest, most creative approaches to peace building – ranging from state-of-the-art technology to advancements in neuroscience and human performance. According to AfP President and CEO, Melanie Greenberg, “An innovative approach has never been more critical.” The unfortunate reality is that the financial cost of violence has risen exponentially to an estimated $43 trillion in 2015, largely due to the unprecedented chaos in the Middle East, the Ebola epidemic, the spread of extremism worldwide, and – particularly in the US – mass shootings and continued civil unrest. With such a heightened degree of turbulence, novel ways to achieve peace become increasingly necessary. The “Next Gen Peace” conference sought to highlight the novel ways in which the peace-building field is addressing the increasingly complex world – drawing on the fields of neuroscience, media, systems theory, psychosocial healing, education, environmental intervention, and others – to create new methods to achieve positive peace and reduce the upsurge of deadly violence. Why was this conference useful to Generations For Peace? 2016 was the third year that GFP staff attended the AfP annual conference. In years previous, the conference has proven to be a great opportunity to network and exchange ideas with like-minded individuals and organisations, to reflect on US-based and international conflicts, to debate the predominant issues in the field, and to gain information on potential opportunities for practical cooperation. This year proved no different. – Countering Violent Extremism (CVE) – panelists on this subject matter included actors who are finding real solutions to rising global threats. Candace Rondeaux, the Director of the RESOLVE Network, was a memorable speaker on this matter. – Neuroscience – experts in this field discussed the latest innovations in brain science and how these innovations are revolutionising peace building and changing the way we manage stress and trauma. The presentation given by Founder and CEO of The Avielle Foundation, Jeremy Richman, was a highlight of the AfP Conference. – Technology – tools like Virtual Reality (VR) and live reporting were explored offering an alternative to how we experience conflict and approach peace. – Storytelling and media – master storytellers, advertising experts, as well as artists and musicians shared how they use different instruments to spread their social change messages. Kiran Sirah, the Executive Director of the International Storytelling Centre, was a great asset to this topic. – Systems – panelists on this topic identified tools for applying systems thinking to peacebuilding. A noteworthy expert in this field was Robert Ricigliano. – Social movements – discussions on this topic included how external actors can support peace building, nonviolent social movements and civilian protection. As GFP is conducting programming and research on CVE, is using technology for data collection across the Middle East (including Magpi), is a regular publisher of stories from volunteers and beneficiaries of its local programming, and is an advocate of systems thinking throughout the organisation, this conference was a perfect match and a great learning opportunity. Importantly, the conference also included several discussions on the future of the peace-building field, including the integration of conflict-related issues into the SDGs and what that would mean for peace-building organisations around the world. GFP’s experience carrying out peace-building programming across Asia, Africa and Europe offers the organisation familiarity with unique issues of conflict and peace across a variety of contexts; this made GFP’s attendance at the AfP conference crucial. Not only does the organisation have a lot to learn from relevant discussions, it has a lot to offer. Ultimately, wherever there are discussions on the future of peace building, GFP wants to participate! What did our staff members think of their experience?